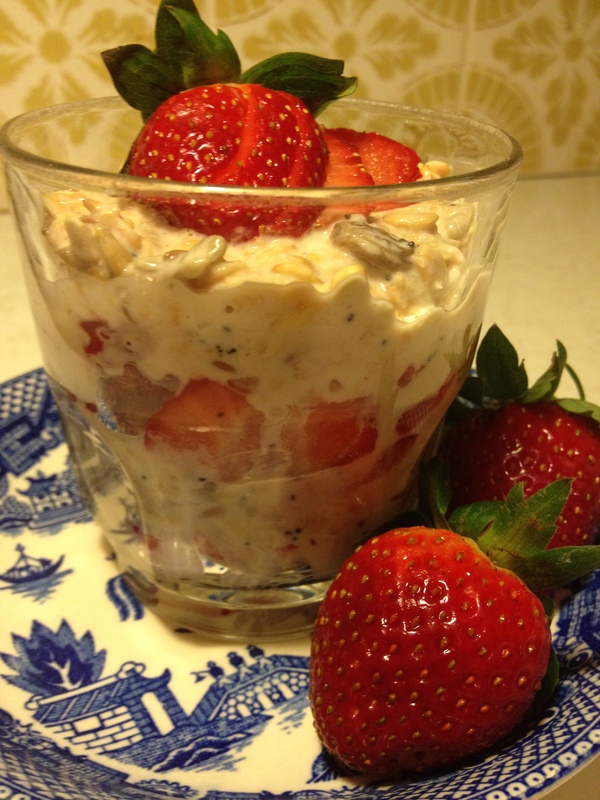 Ever since I was a little girl I’ve loved parfaits. They’re so pretty with their layers of deliciousness! What’s even better about this dessert is that it’s healthy enough to eat for breakfast, and fancy enough to be served at Christmas Dinner. 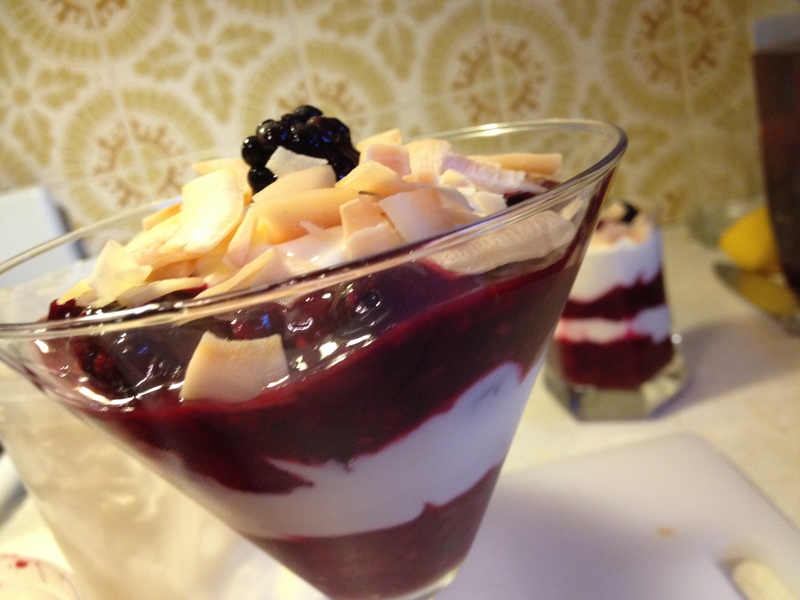 2 heaped cups of mixed fresh or frozen berries, 2 tablespoons of caster sugar/superfine sugar or natvia, 2 tablespoons lemon juice, 2 teaspoons cornflour (corn starch), 2 cups of your favourite yoghurt, 4 tablespoons of roasted coconut chips or toasted flaked almonds. 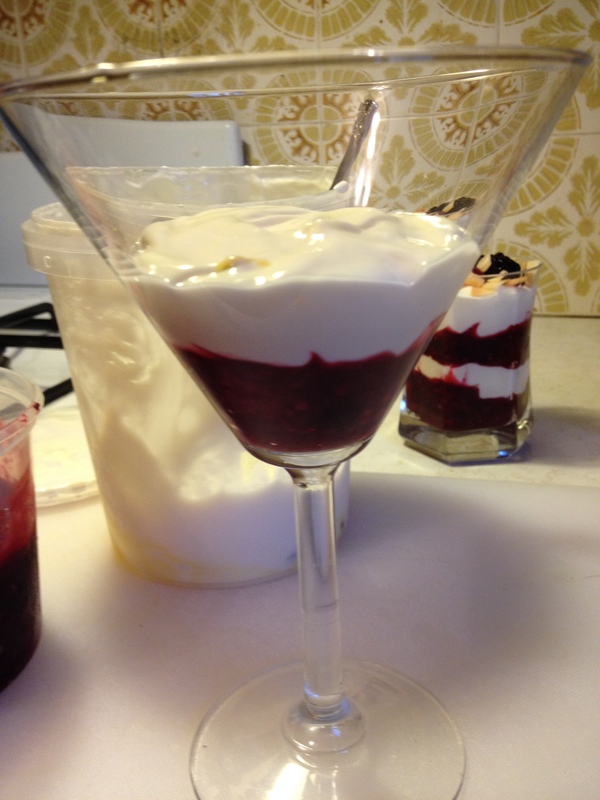 Today I’ve made some breakfast parfaits in short glasses, and some dessert parfaits in martini glasses. 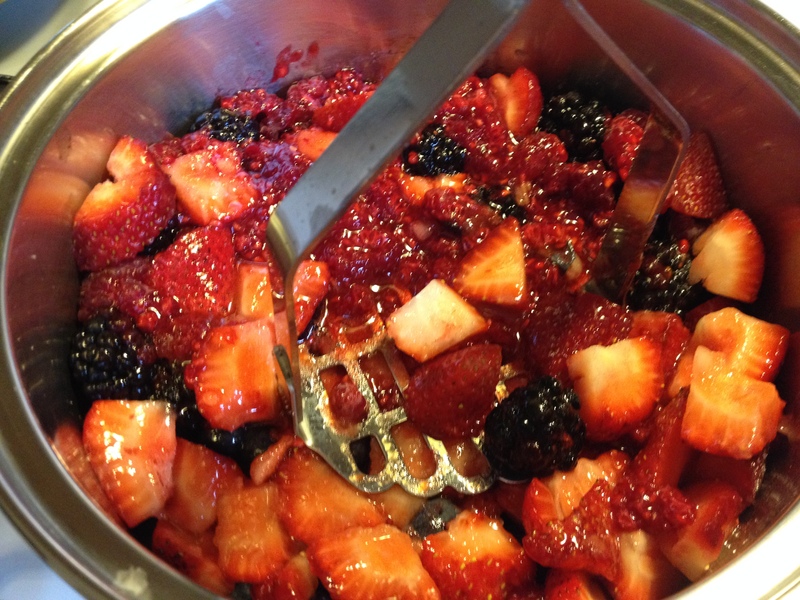 My berry mix included strawberries, raspberries, blueberries and blackberries. My yoghurt? Greek passionfruit yoghurt for a little summery zip, and a parfait made with coconut milk yoghurt for a friend who is vegan. If you’re dairy intolerant do try the coconut yoghurt or a good soy yoghurt. 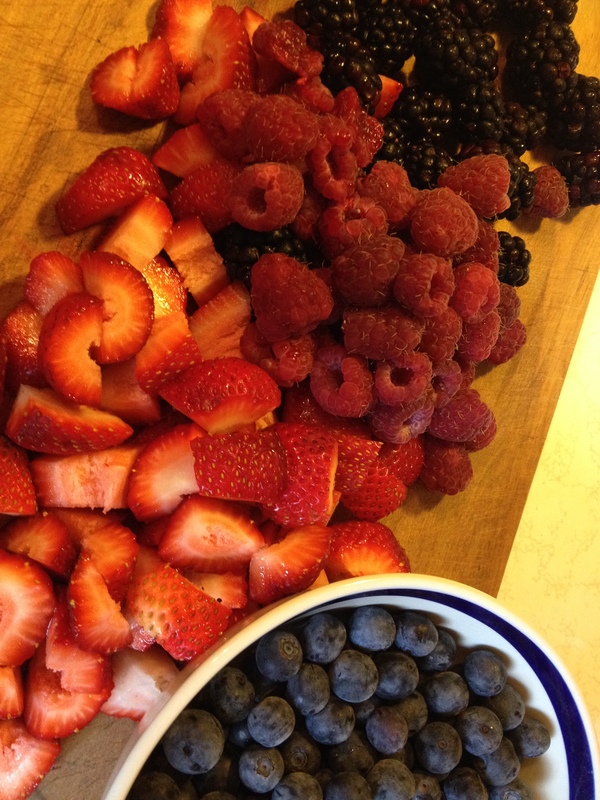 Sort through your berries and wash. (Not necessary of they are frozen.) Drain, and chop any large berries into smaller pieces if required. Tip into a saucepan with the lemon juice and sugar. 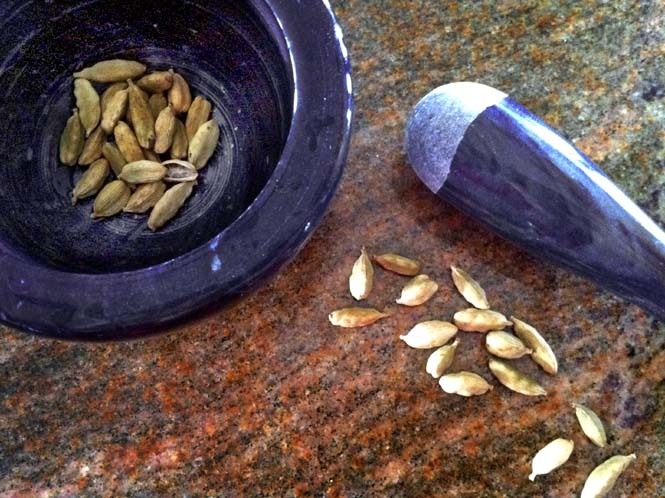 Squash the berries down a little with a potato masher to release some of their juice. Heat and stir for a few minutes so that the berries have broken down a little and the sugar has been dissolved. There should still be some whole berries in your pot. 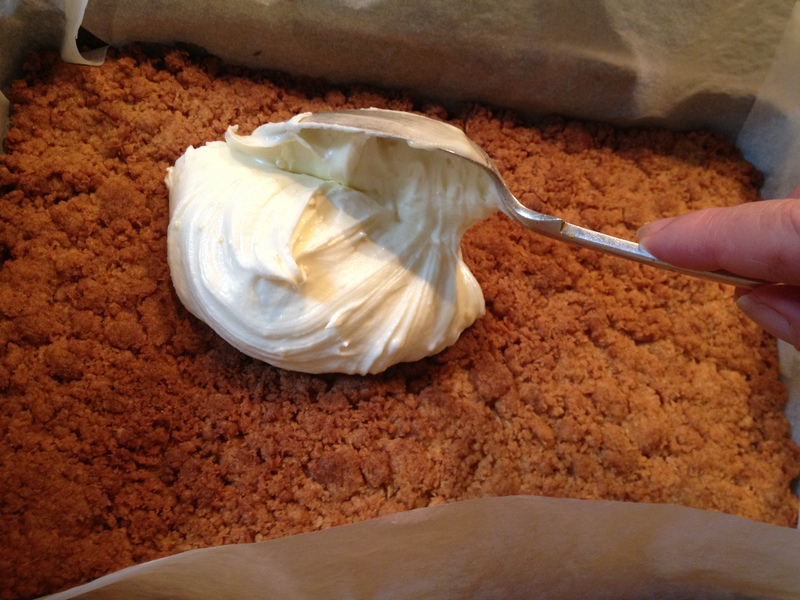 Mix the cornflour with a tablespoon or so of cold water until it is smooth and milky. 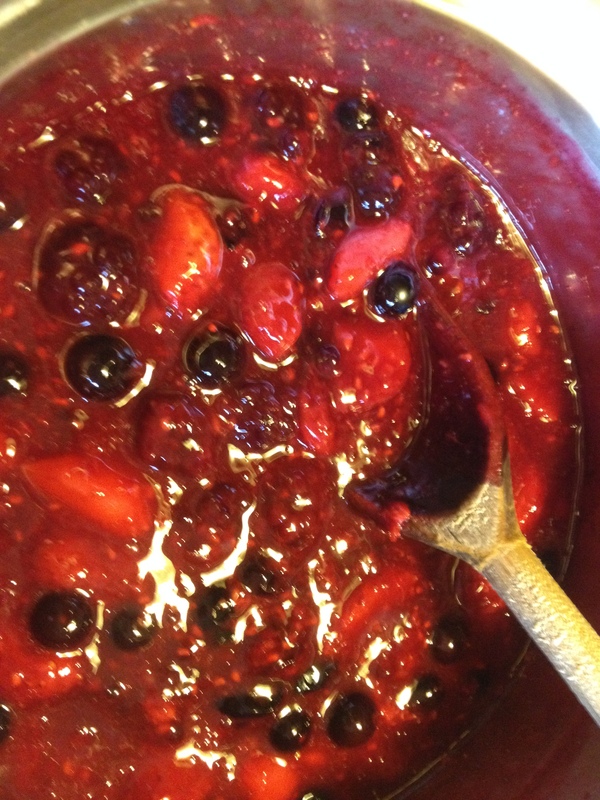 Dump into saucepan with berries and stir over medium heat for another minute until mixture thickens slightly. Remove from heat. 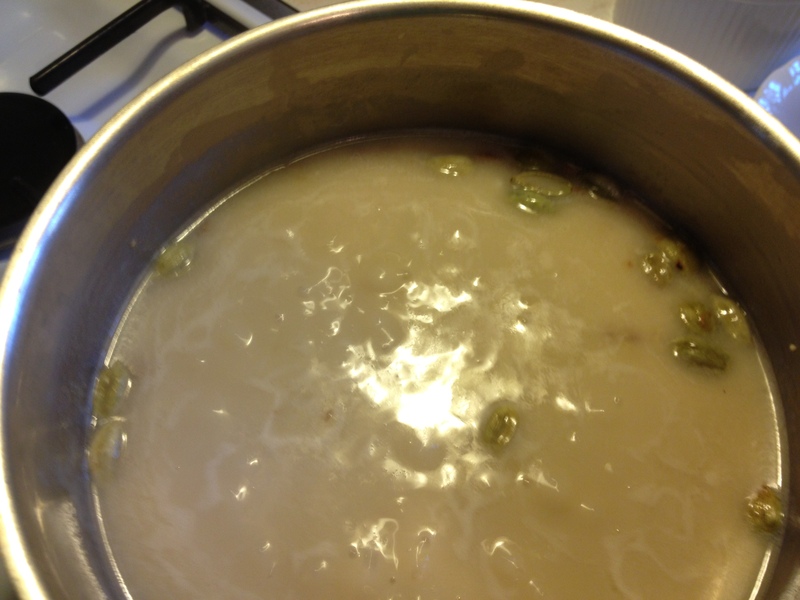 Mixture will thicken more as it cools. 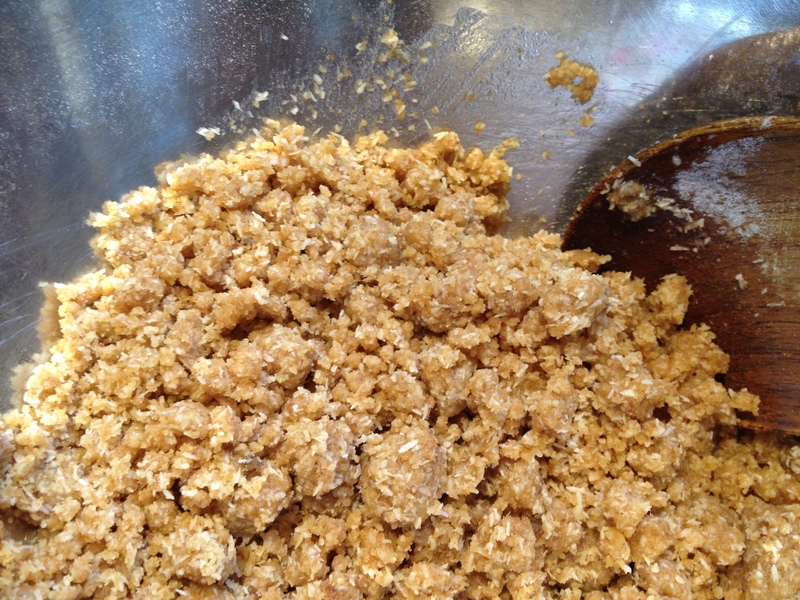 At this stage you can put mixture in an airtight container and keep in fridge up to one week if necessary. The berry mix will taste sweet and summery. It is also divine when spooned over ice-cream or ladled into little pastry cases with a dollop of cream and a few shavings of chocolate on top. Have your glasses ready, along with some clean spoons. 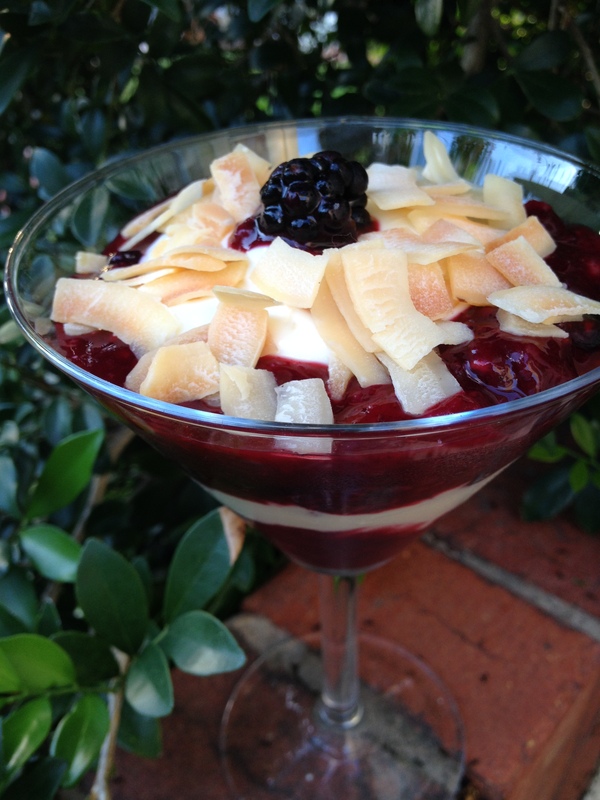 Start with a layer of berry mixture, placing it carefully so that it doesn’t drip down the sides of the glass. It’s better to work with a little at a time than big messy spoonfuls. If you do get a smudge, wipe it off with a piece of paper towel. 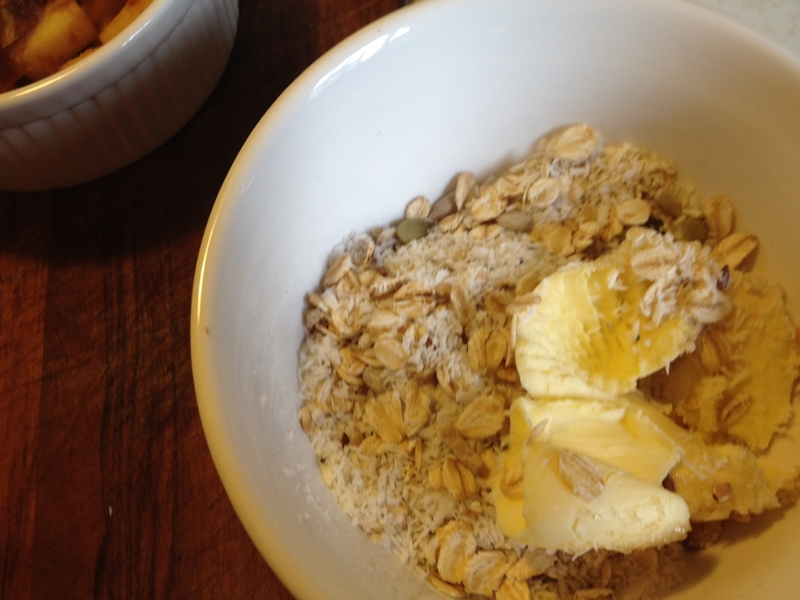 Now add a layer of yoghurt, again working slowly and neatly. Another layer of berries, and then keep layering until you get to the top of the glass. 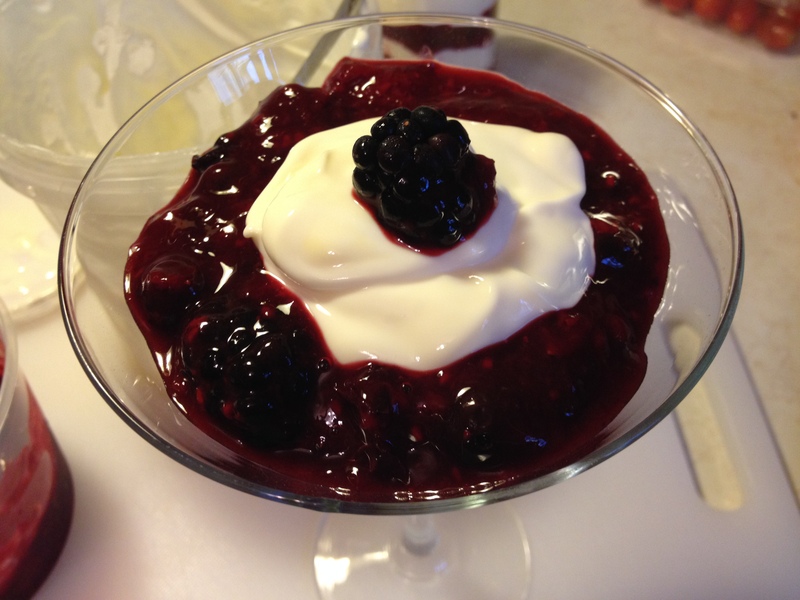 Finish with a few whole berries or a splodge of yoghurt with a little more of the berry mix spooned into the centre of the splodge. If you’re not ready to serve these yet, pop them back in the fridge. 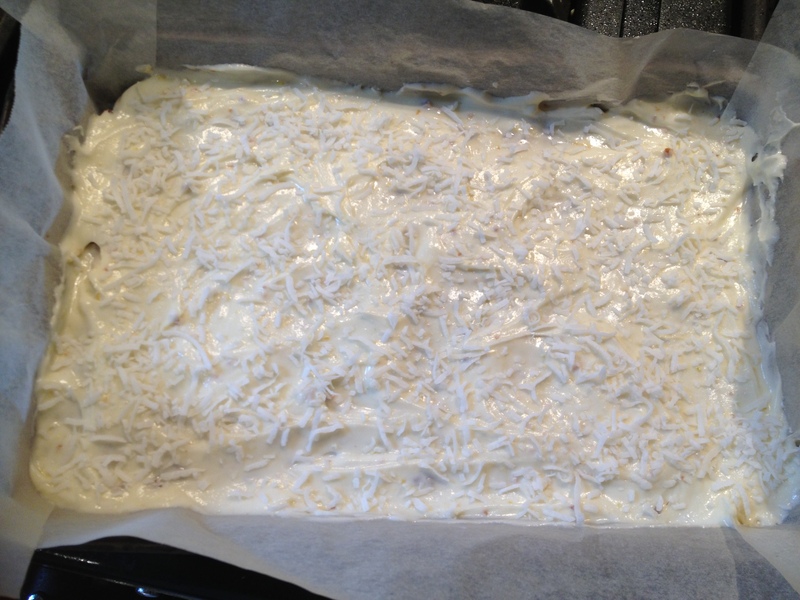 Just before serving, sprinkle your toasted coconut chips or almond flakes over the top for a delicious crunch. The texture of the soft fruit and yoghurt with the crunchy bits is wonderful. Enjoy! 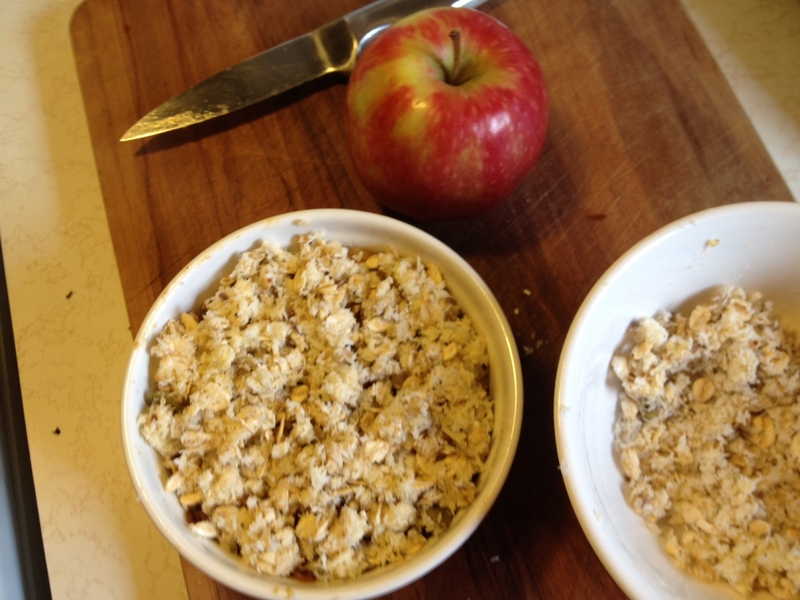 Apple crumble has been a family favourite in our house for years. Now Autumn has arrived in Australia all the new season apples leave us spoilt for choice, and they taste positively delicious baked into a dessert. 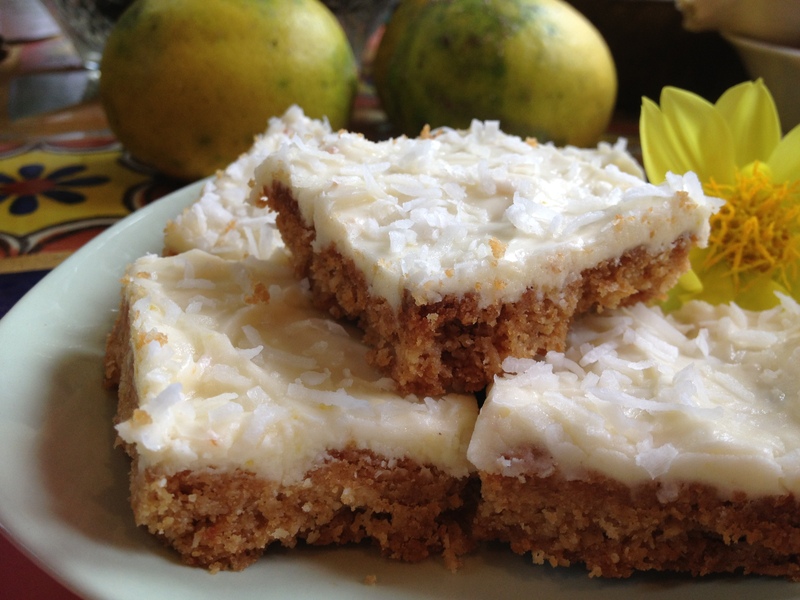 I’ve modified this recipe so that it is gluten-free, sugar-free and so that it can also be dairy free or vegan. 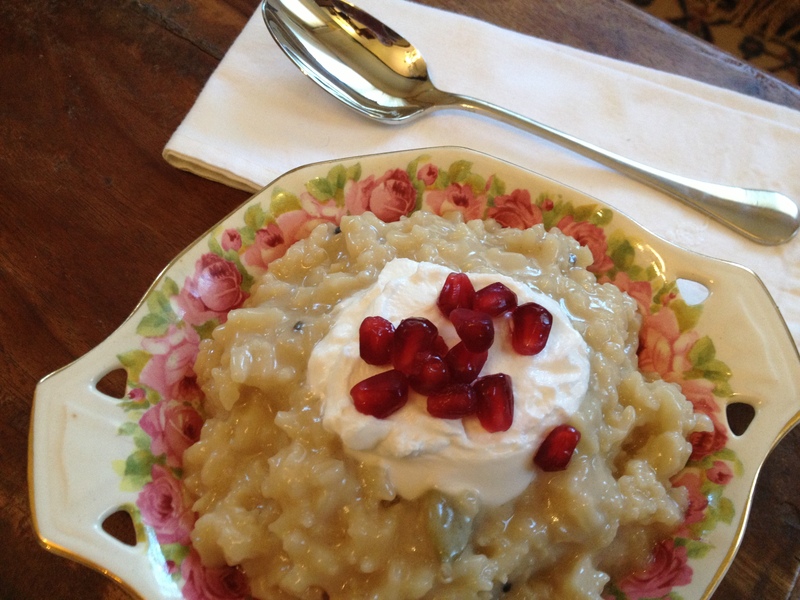 It’s quick to make, rich in fibre, and tastes wonderful as a hot or cold dessert, and will even double as breakfast! 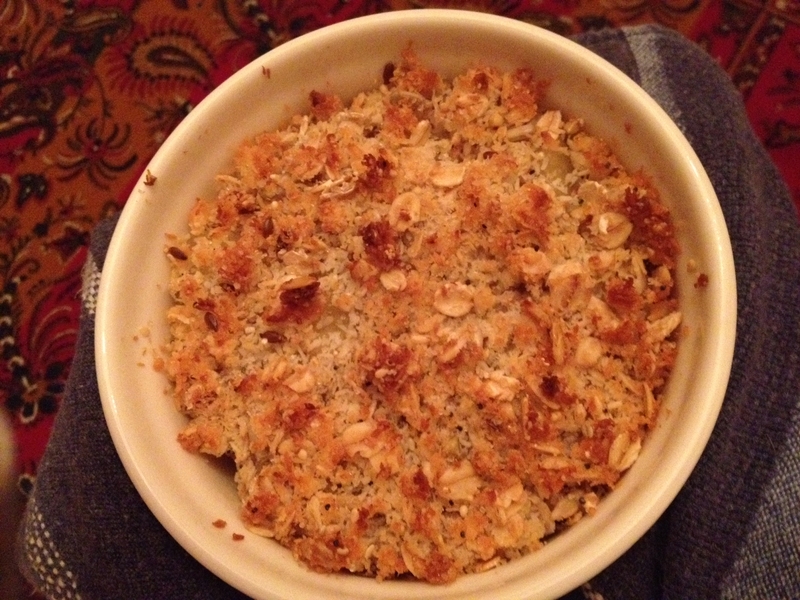 The following recipe gives one serve, which I bake in a small ramekin. 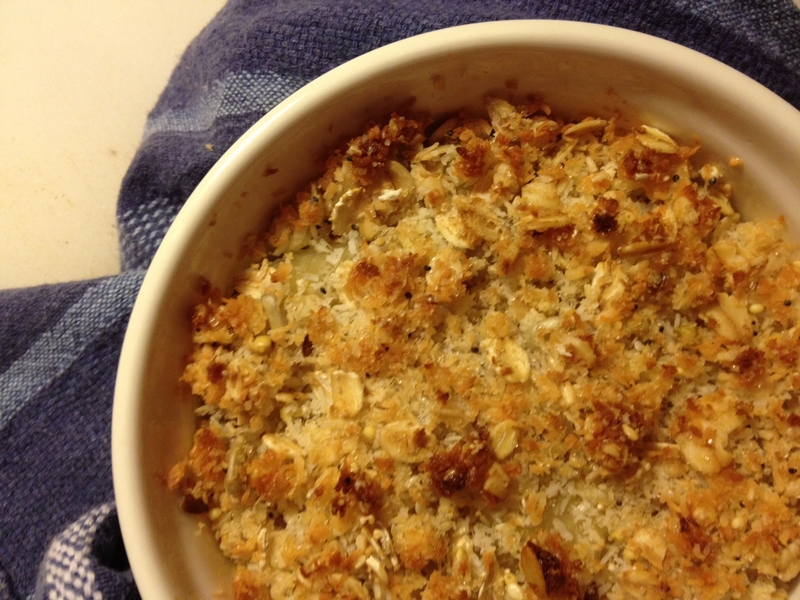 For more people just keep increasing the quantity, and use a larger baking dish. 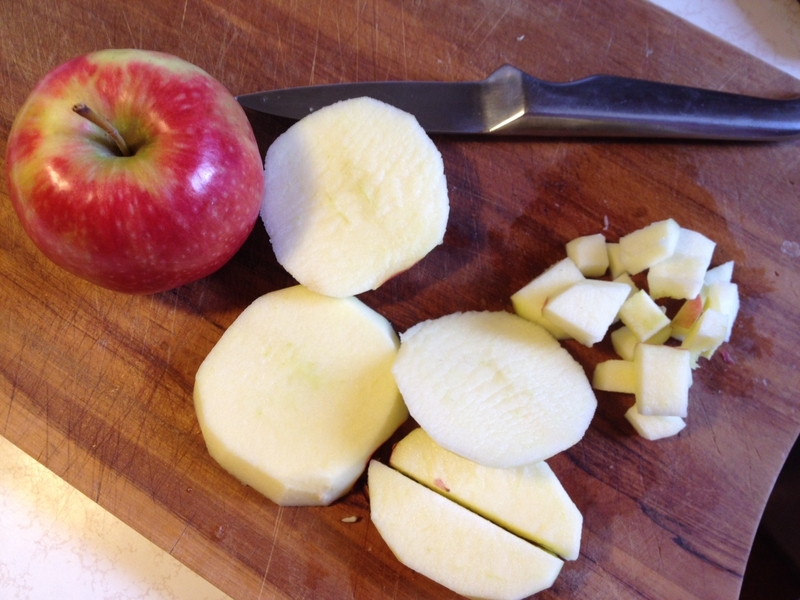 One apple (today I’m using Pink Lady apples – very creamy and sweet and they keep a nice firm texture when cooked. 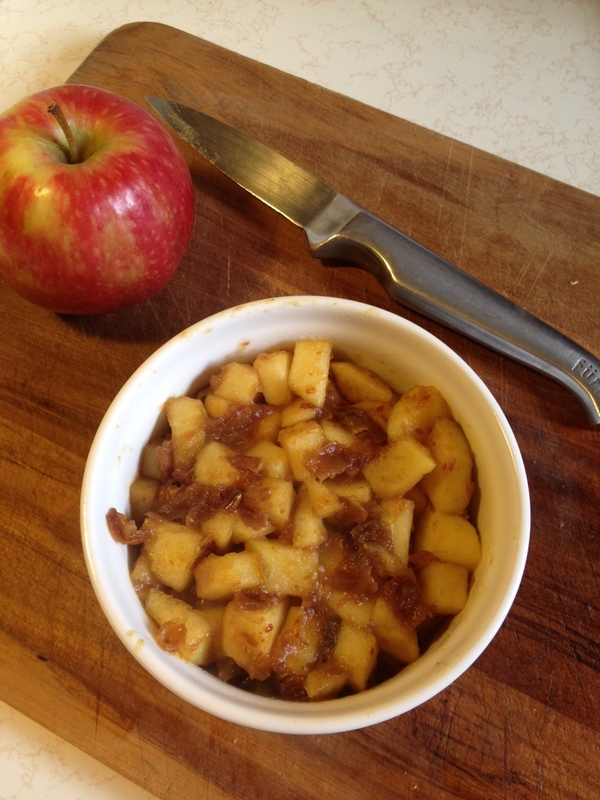 I won’t use any sugar or sweetener as the fruit is ripe and sweet already, but a tart apple like a granny smith may need a little sweetening for most palates), six dates (optional – omit if you have diabetes or a sugar issue), 1/3 cup of water, half to one teaspoon stevia if needed (you could also use maple syrup, honey or rice syrup), a shake of powdered ginger or allspice. Peel and core apple and chop into small pieces. 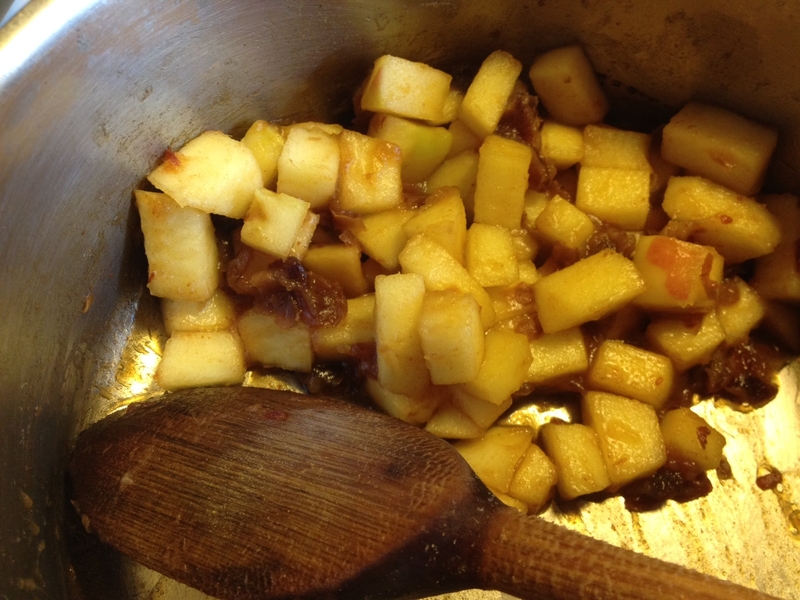 Add apple to saucepan with water and sweetener if the apple is tart, and turn to medium heat. After a minute or two add the chopped dates if you are using them. Add a little ginger or allspice to season. 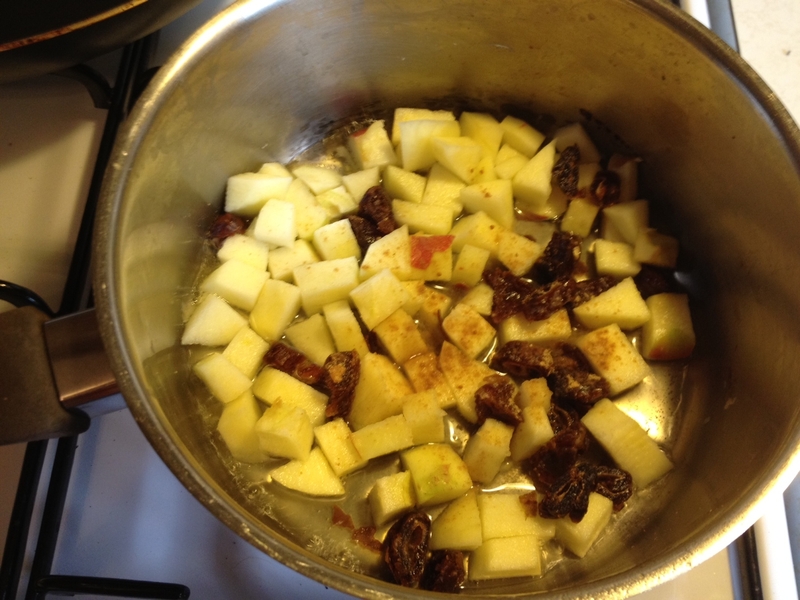 Stir often over medium heat until the liquid cooks off and the apple has changed colour. 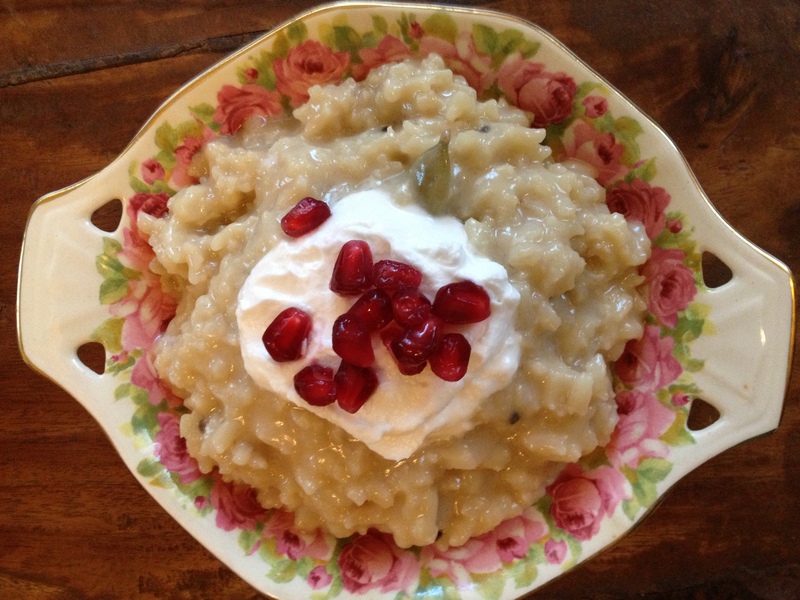 Spoon into a ramekin or small dish, (or enjoy on its own as stewed fruit – great with yoghurt, on porridge or cereal, or even over ice-cream). 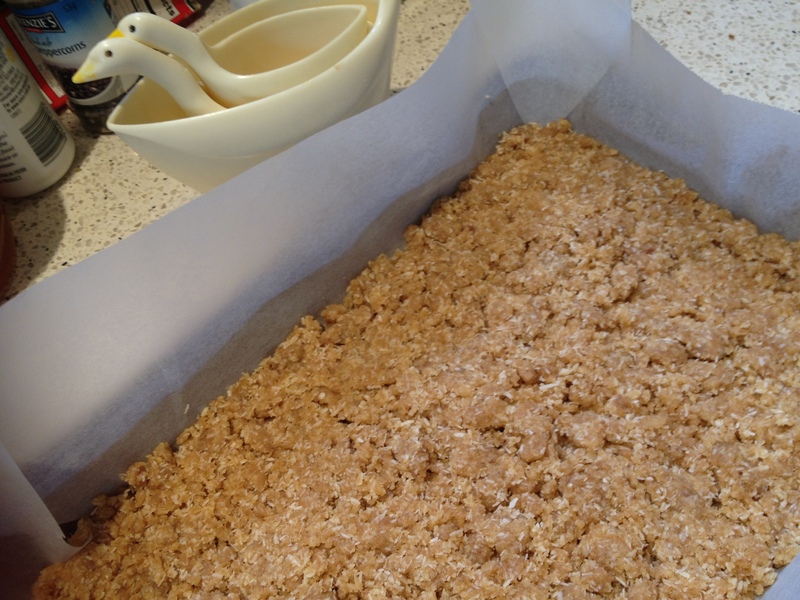 One tablespoon dessicated coconut, one tablespoon mixed seeds (optional but great for protein and fibre), one tablespoon rolled oats (if you’re celiac you may want to use a tablespoon of either gluten-free breadcrumbs, puffed rice/millet/buckwheat or a good gluten-free cereal), a little sweetener of your choice if you wish, one teaspoon of butter, vegan/vegetarian butter substitute or if you are mad on coconut like me, one teaspoon of coconut oil or cream. The seed mix I use is called Kapai Puku. It’s available online but not everywhere – there’s a good post about it, and how you can make your own substitute here. Bake in moderate oven until the top browns – around ten minutes. 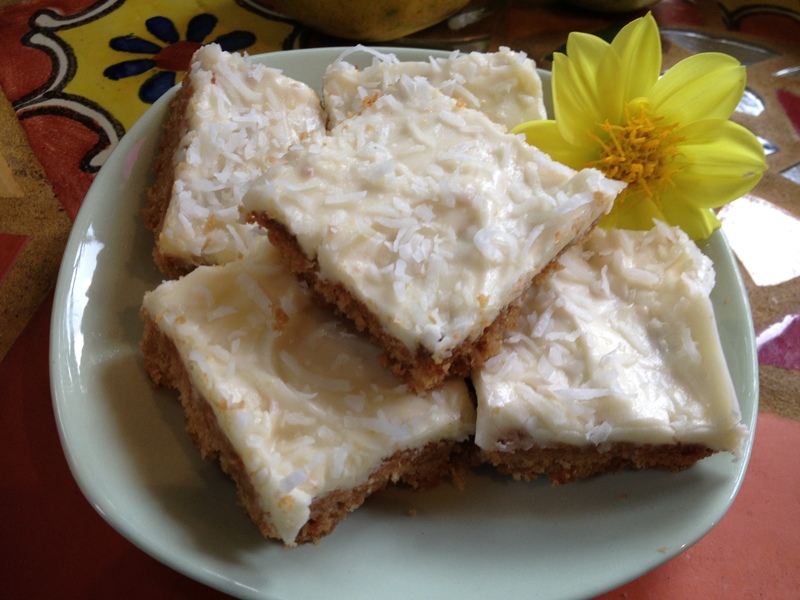 Eat with great gusto – can be served with yoghurt, coconut cream, cream or ice-cream. Or enjoy it on its own. Comfort food at its finest.